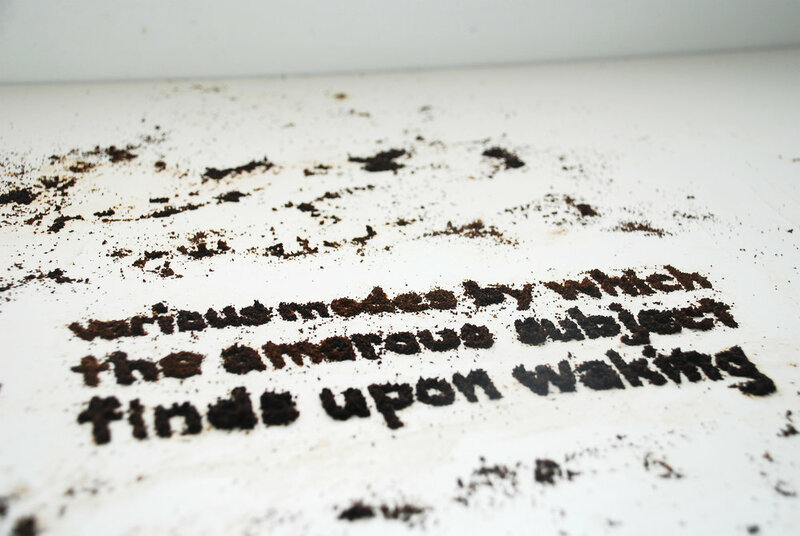 An experiment with physical typography and story telling. 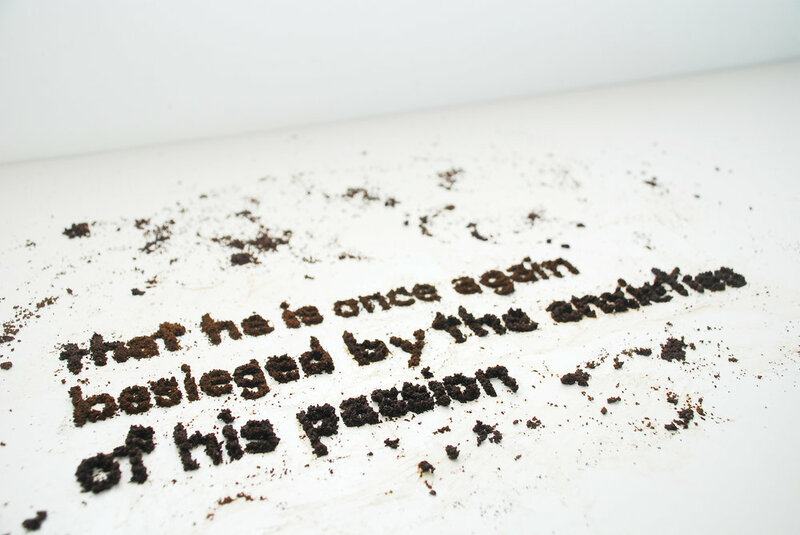 This piece uses coffee grounds as the medium too express the chosen quote. The idea is waking up with the constant reminder of your failures for something you may have given your entire life or tedious attention to. Then to only start the day again and repeat the actions.